Vice-President of Sales for Volvo Canada. Lahoo, an online media company serving the Chinese community was lucky to get a few moments with Dave Forrest for an interview. Lahoo: In your resume, we learn that you have been working in the automotive industry for nearly 25 years, during which you spent nearly ten years in General Motors and Japanese Subaru, respectively. After working in American and Japanese automobile corporations, you choose the North Europe brand, Volvo Car Corporation. Is it because you are invited by Volvo Car Corporation or you have long had the idea, or else? Mr. Forrest: The time spent with the Subaru brand was a great compliment to the first 13 years of my career where I worked with domestic brands in Automotive Financial Services. I had always aspired to work for one of the luxury makes and Volvo had great appeal due to the strength of the brand name and opportunity to be part of the revival here in Canada. Mr. Forrest: I am the Vice President of Sales & Product Planning for Canada only and do not have any responsibilities outside of the country. The teams that I lead are responsible for analyzing consumer needs to determine what product specifications Canadians want and then bringing those vehicles to market with a competitive lease, finance and cash programs. The culture across the brands I have worked at are very similar given the fact that the employees are predominantly Canadian and the leaders are graduates of the same top business schools. The Japanese and European management style focusses on building consensus and reducing risk while American leadership accepts higher levels of risk by acting quicker. Lahoo: Volvo is an introverted and understated Nordic brand, do you think its design concept will run into huge obstacles in promotion to North America, a place where people are lively? Many North American consumers, especially young consumers prefer splendid automotive exterior and interior. For example, American cars focus on the gorgeous interior or even a colourful dashboard, which is full of design sense, while Volvo always insists on concise style and not much colour lines. Mr. Forrest: I think 'introverted' is a misrepresentation of the Volvo Car brand. Volvo product is stylish, yet simplified; it offers a progressive luxury that has minimalistic qualities but still offers premium craftsmanship and design. We believe North American consumers want a dynamic, reliable product, and Volvo offers that. A lot of luxury brands are not necessarily known for extreme design - our brand offers a premium interior that offers quiet confidence; that can often have more of an impact than a distracting colour scheme. Lahoo: The launch of the new Volvo XC90 makes SUV at this level compete more fiercely. Compared to Audi Q7, Mercedes-Benz GLE or BMW X5, what aspects of XC90 are unique and can attract consumers the most? In addition, has Volvo Group Canada set up a year's expected sales target for XC90 after its launch? Mr. Forrest: The all-new XC90 is a game changer in the luxury SUV segment. As expected it offers state-of-the-art safety features but that is only one component of this impressive new vehicle. The new infotainment system offers a seamless touchscreen design, similar to a tablet that is both intuitive and easy to use. The all-new 4-cylinder Turbocharged & Supercharged engine offers dynamic performance without compromising fuel efficiency. Other highlights include 4-zone climate control and segment-leading 3rd-row seating. Lahoo: Whether XC90 represents Volvo's "new era" is to come? Or whether the brand new design idea of XC90 will gradually spread to all models of Volvo, such as XC60 and S60? Will Volvo's other models be replaced along with XC90 in the coming future? Mr. Forrest: The all-new XC90 is the first step in a brand transformation for Volvo Cars. In the next few years, Canadians will see an impactful change in our current model lineup that will resemble the latest iteration of the XC90. 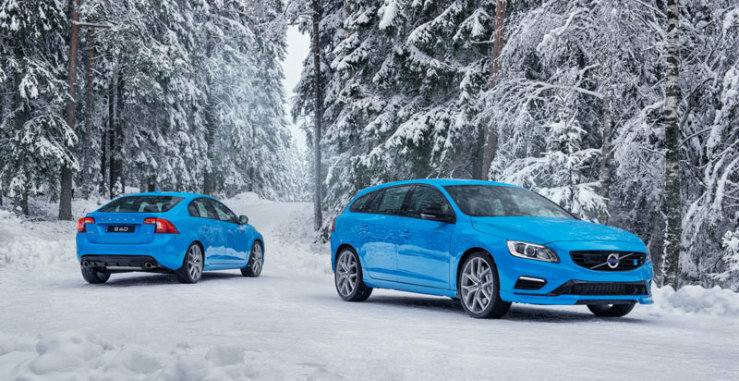 Volvo Cars will offer Scandinavian-designed progressive luxury that will offer uncompromised performance, innovation, safety technology and comfort. Lahoo: In the current Canadian market, Chinese consumers are a core group of luxury car consumption, but they are now more interested in traditional luxury brands like Mercedes-Benz, BMW and Audi because these brands have greater promotional efforts and excellent quality. Nevertheless, in the current era, more and more Chinese consumers will also pay attention to environmental protection, energy conservation and security/safety, which are Volvo's expertise. Please briefly introduce the unique ideas and technology of Volvo in both environmental protection and safety, to tell Chinese consumers that "only by choosing Volvo you can be really environmentally friendly and safe". Mr. Forrest: Safety has always been an integral component of Volvo product; the all-new XC90 offers a plethora of features such as run-off road protection, pedestrian and cyclist detection, lane departure warning and frontal collision warning making it the safest SUV on the market. In early 2016 we will be introducing the T8 plug-in hybrid which will be environmentally-conscious and offer an estimated fuel economy average of 2.7 litres per 100 kilometres. This is just the beginning, Volvo Cars is always focused on safety and the environment - these two focuses are built into our Swedish DNA - and we will continue to offer innovative features concerning the two aforementioned pillars.